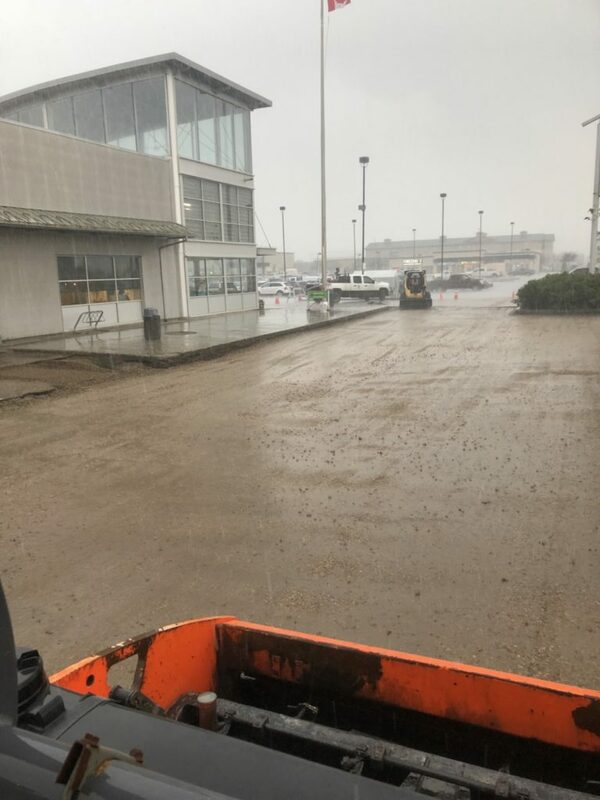 Gravel Base Work - Blondins Paving Ltd.
Blondin’s Paving Ltd takes pride in all of our construction projects. 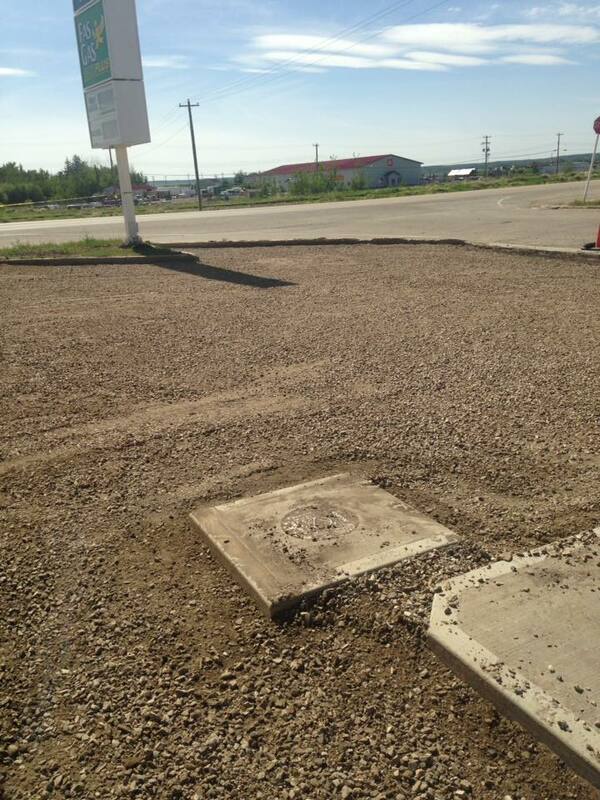 Whether the project is for a commercial property, industrial site or road construction. 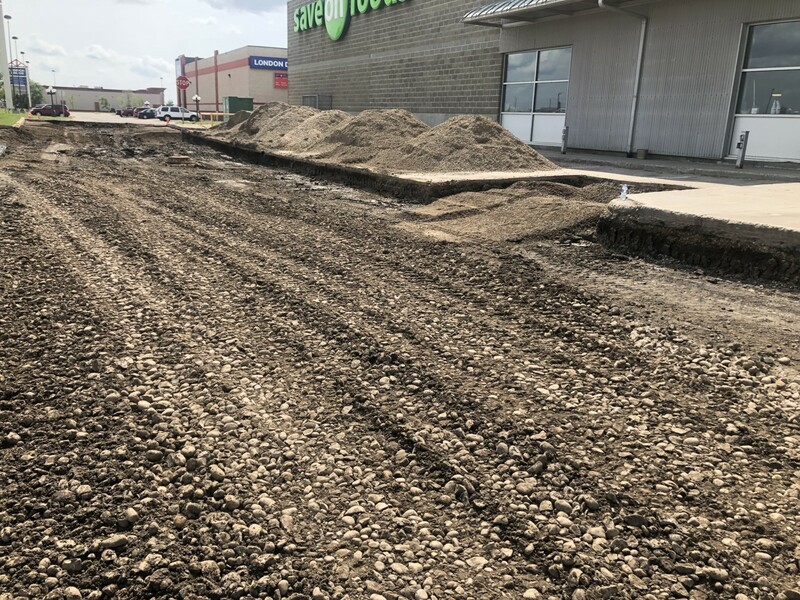 We know that building a strong foundation for any projects will ensure a quality, long lasting Gravel Base. 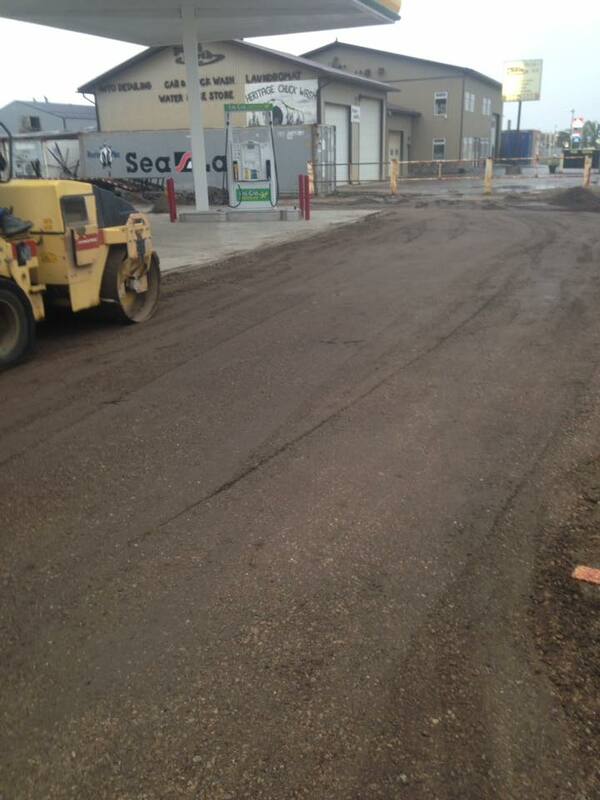 We can install engineered designed specs for gravel base projects following the site plans. 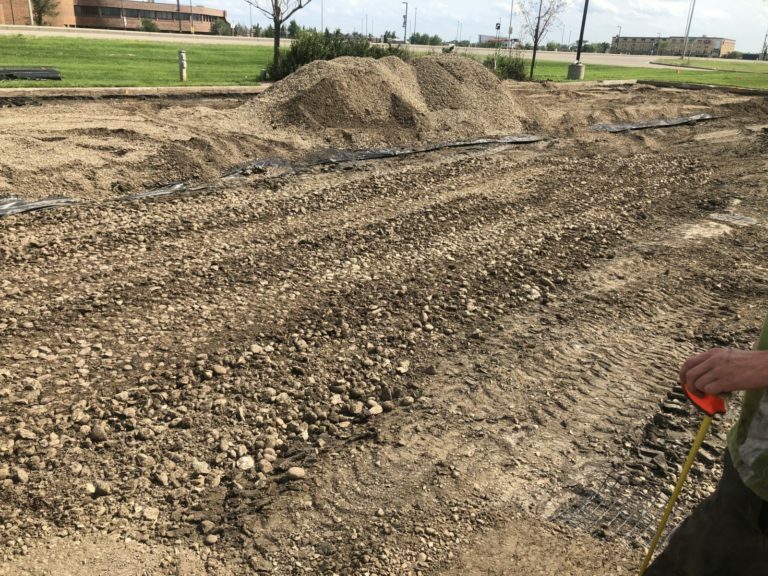 Repair projects that require a full excavation and a new gravel base installation, we always use GeoTextiles for our repair jobs. The added structure from the GeoTextiles ensures a long lasting repair. 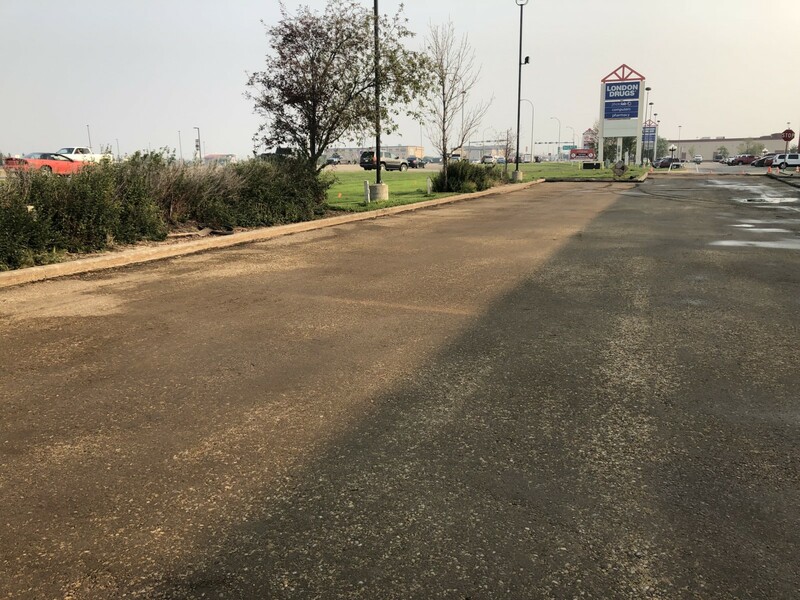 Woven Geotextiles are ideal for road building, parking lots and driveways because it increases the life of paved and unpaved areas. Woven Geotextiles are primarily used for separation, reinforcement, and filtration. 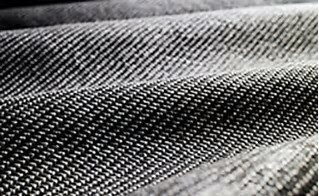 Woven Geotextiles are used for when sub-grad stabilization is requiring considerable strength. 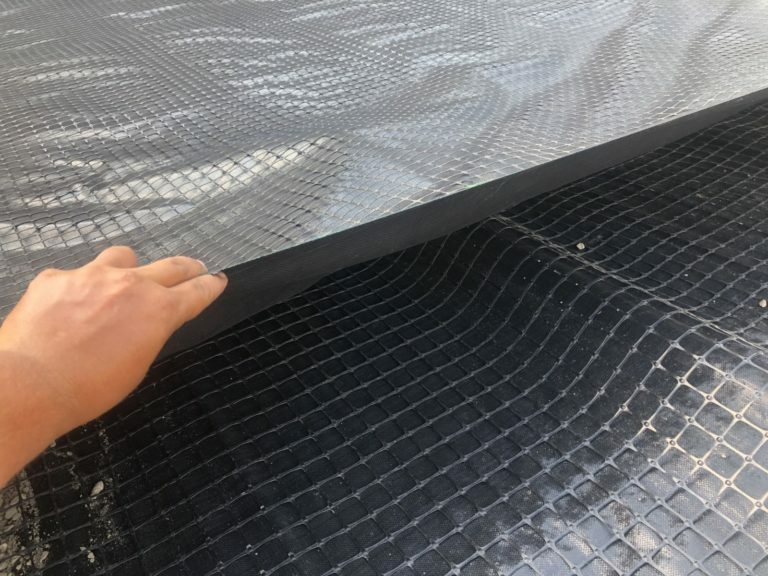 Woven Geotextiles are made by weaving pre-stressed, non-biodegradable, slit-firm polypropylene tapes into a simple weave pattern. 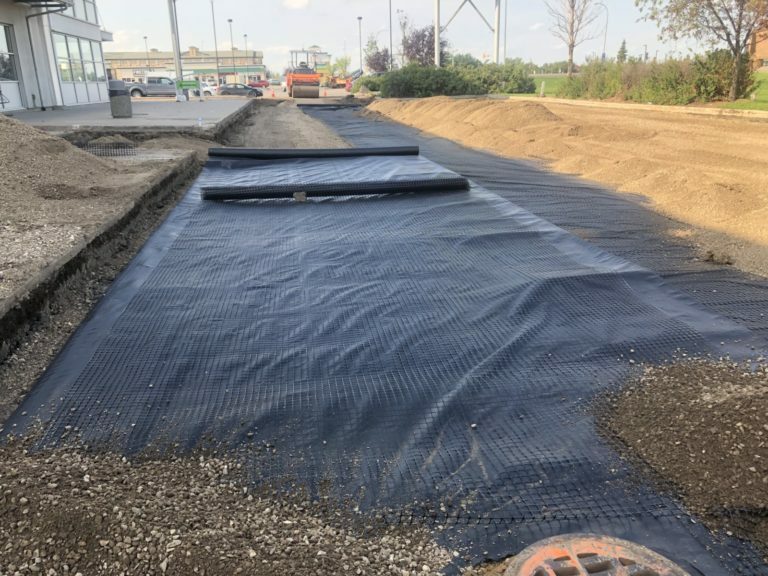 Geogrids have been utilized in pavement construction and soil stabilization projects throughout the Canada. 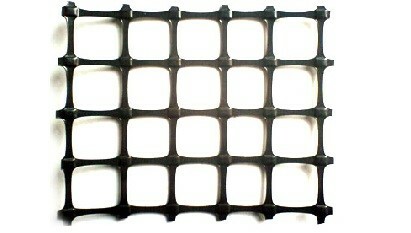 Geogrid that is made from extruded polypropylene which provides superior stiffness, aperture stability and interlock capabilities for structural reinforcement of paved and unpaved roads. 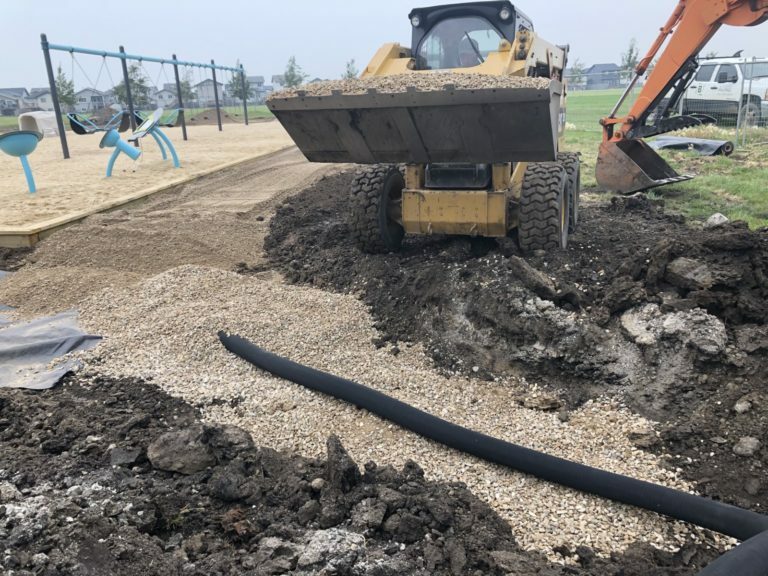 Blondin’s Paving Ltd uses geosynthetics for our gravel base installation. The main purpose of the geosynthetics are for reinforcing the subgrade to support the gravel base and asphalt structure at the time of construction and for many years to come. As well adding a separation barrier between the native subgrade and the new aggregate material. Separation prevents two distinct soils of different materials from intermixing. The key factors for a geotextile to satisfy this function are porometry, toughness and strength. Reinforcement is the strength characteristics (stress–strain) of the geotextile, provide added strength to the whole system. 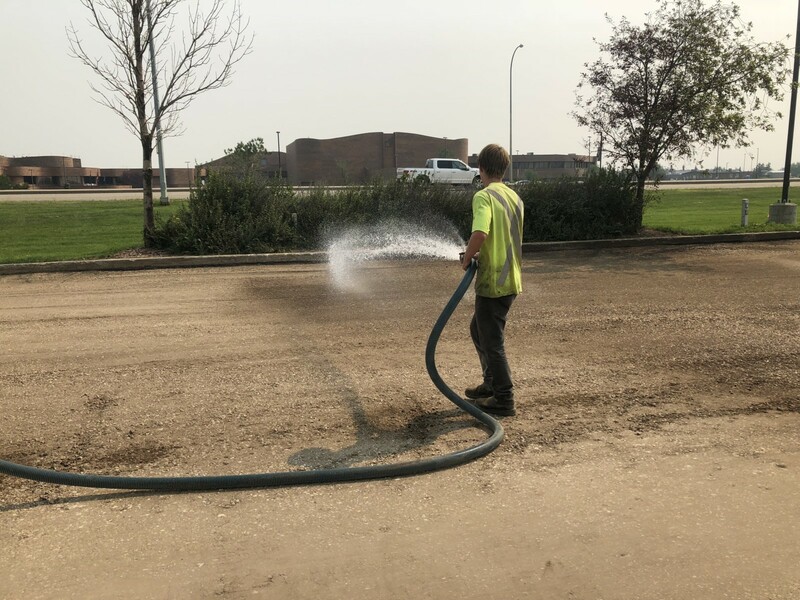 However, the benefits of using geosynthetics go even further when installing them on the subgrade intended for a Gravel or our recycled product concrete or asphalt for parking lots and driveways. Drainage happens when Water is conveyed along the path of the geotextile due to its construction, and then to an outlet. Water may be vertically or horizontally conveyed. Drainage is related to the role of filtration, and is a function of the permeability of a geotextile.